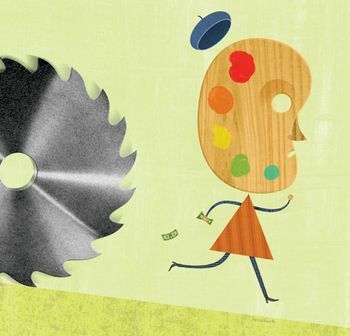 My latest illustration, for Baltimore's Urbanite, is a about budget cuts in arts organizations. The Baltimore Opera, Baltimore Museum of Art, and Center Stage have been hit hard already, but some organizations are cautiously optimistic that better times will come soon. You can read the full story here.